Chevrolet officials smiled, cheered and even hugged when the 2019 Silverado made its surprise debut during an event for truck owners last December in Texas. Among those cheering was Joe Jacuzzi, who led the Chevy public relations team for an over-the-top debut of the redesigned full-size pickup that included a Sikorsky helicopter flying the vehicle into the Texas Motor Speedway. 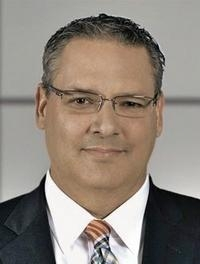 The event was one of several for the bowtie brand over the last year that led to Jacuzzi taking charge of PR duties for all four of GM's North American brands starting this year. Aside from launching the Silverado, Jacuzzi, 50, oversaw the unveilings and introductions of the freshened Camaro and resurrected Blazer, among other vehicles.